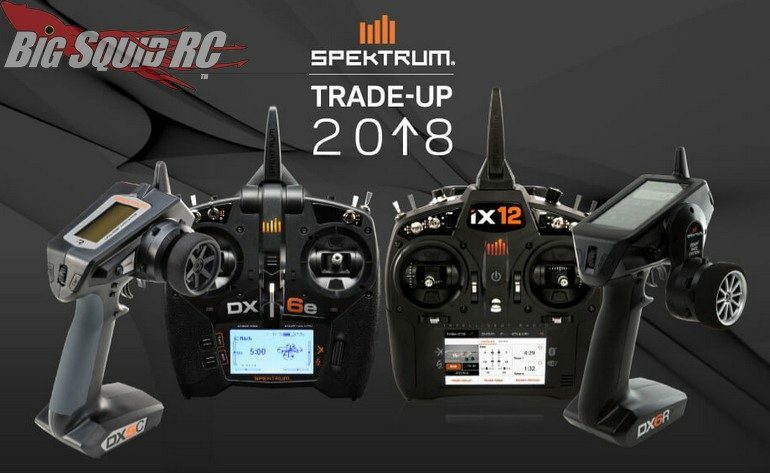 Spektrum Trade-Up Program 2018 « Big Squid RC – RC Car and Truck News, Reviews, Videos, and More! Going on now is the 2018 Spektrum Trade-Up Program. This program allows you to save some cash on a new Spektrum transmitter when trading in an older unit. After a qualifying trade-in, you can save up to $40 on the purchase of your next radio. Want all the finer details? That’s easy, just hit This Link to make the jump over to the official Spektrum Trade-Up page. You can read more Spektrum News right here on BigSquidRC.